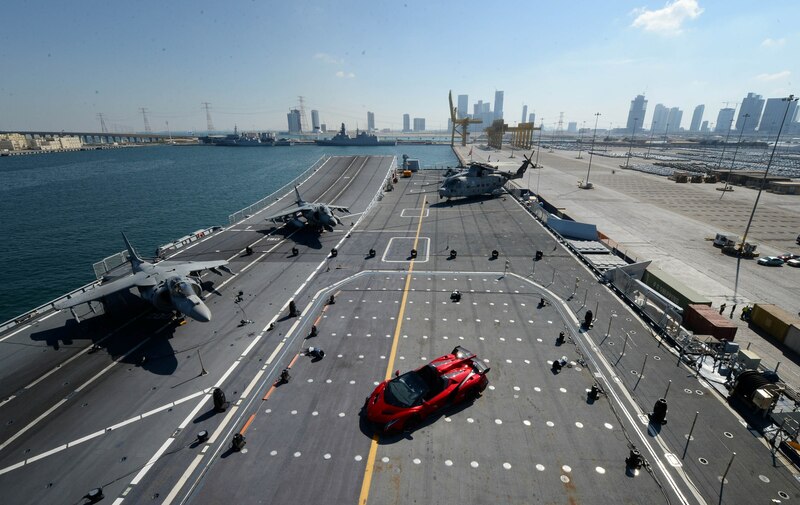 In spectacular fashion, Lamborghini ‘launched’ its new €3.3 million supercar aboard the Italian naval aircraft carrier Nave Cavour. 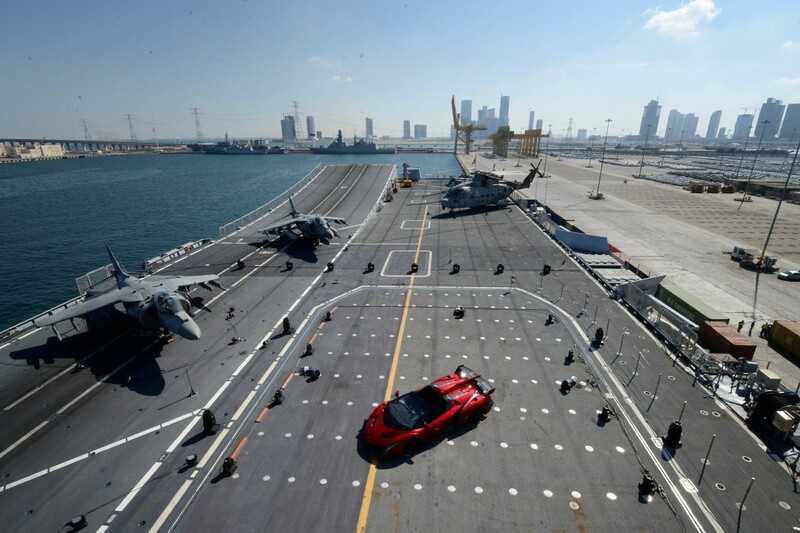 Fittingly, a vehicle embodying the spirit of a fighter jet would announce herself to the world aboard a flight deck. 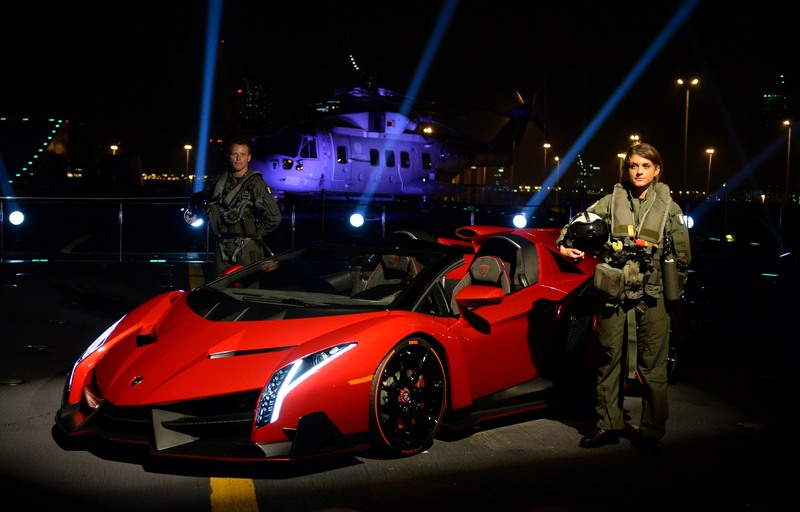 In Abu Dhabi, executives and VIPs attended the event for the exclusive vehicle of which only nine will be produced. 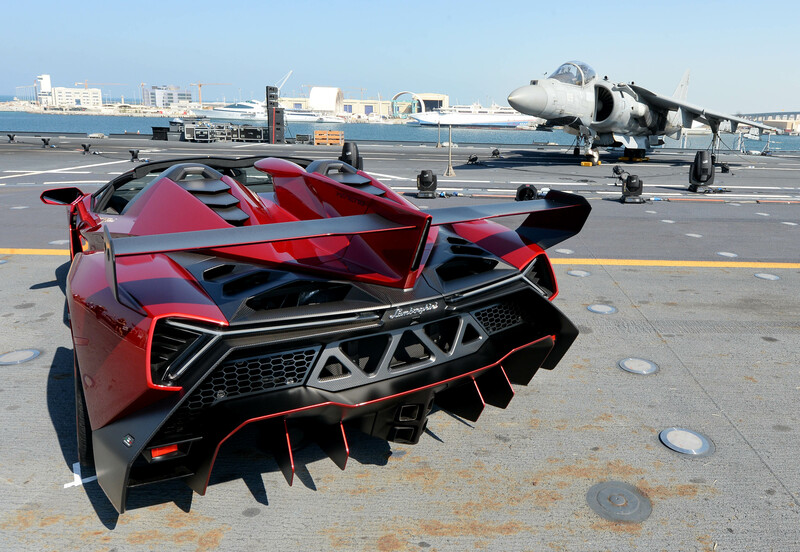 The Veneno Roadster is crafted with racing aerodynamics and is fully street legal. 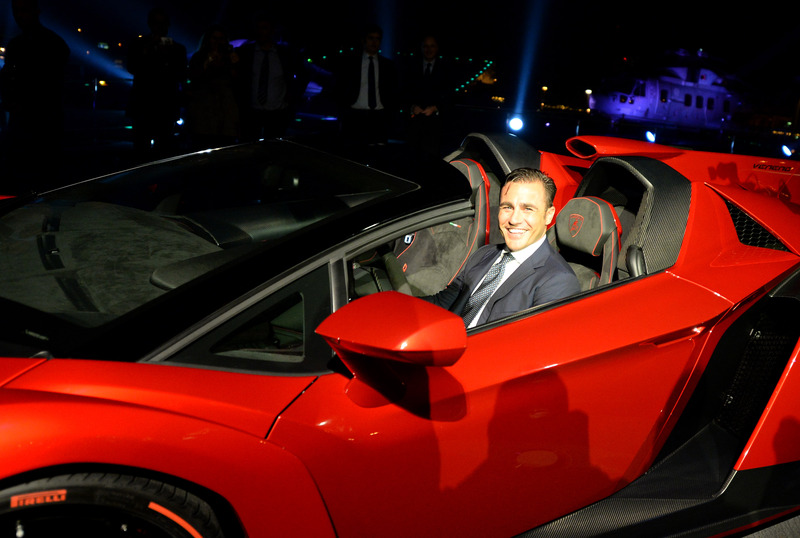 The design follows classic Lamborghini lines of an arrow-shaped front and razor sharp lines. There is a rollover bar, yet no roof. The alloy wheels boast a carbon fiber ring around the rims that act as a cooling mechanism for the carbon-ceramic breaks. 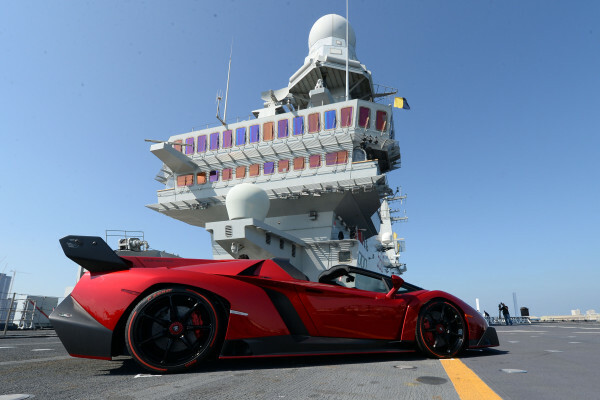 The name of the color ‘Rosso Veneno’ is exclusive to the roadster, however customers will be able to customize their vehicle with their color preference. In addition to flashy looks, the Veneno Roadster is a performance innovator with an output of 552/kW and 750 horsepower. Carbon fiber accentuates the interior monocoque, sills and central tunnel. Lamborghini’s famous Forged Composite cover the lightweight bucket seats and carbon fiber woven ‘CarbonSkin’ encases the entire cockpit. 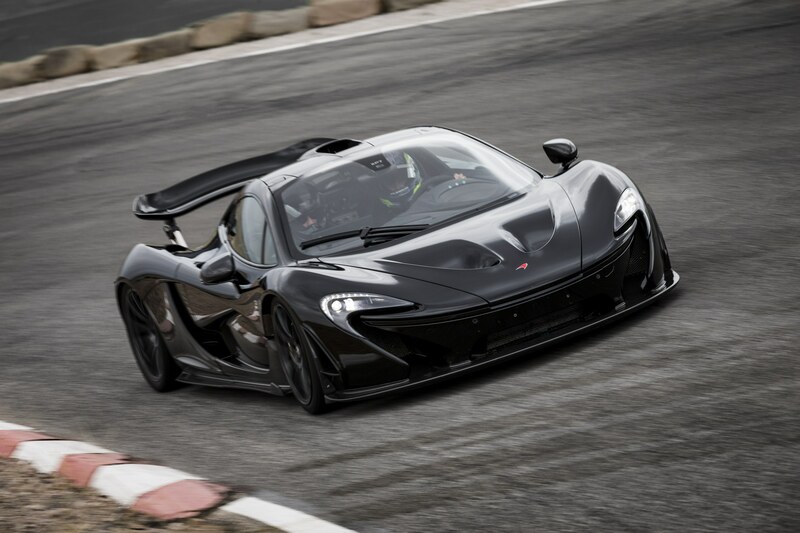 The carbon fiber vehicle design enhances power-to-rate ratio; weighing 3,278 lbs the performance is perfected allowing the vehicle to reach 100 km/h in under 3 seconds. In addition to flashy looks, the Veneno Roadster is a performance innovator with an output of 552/kW and 750 horsepower. 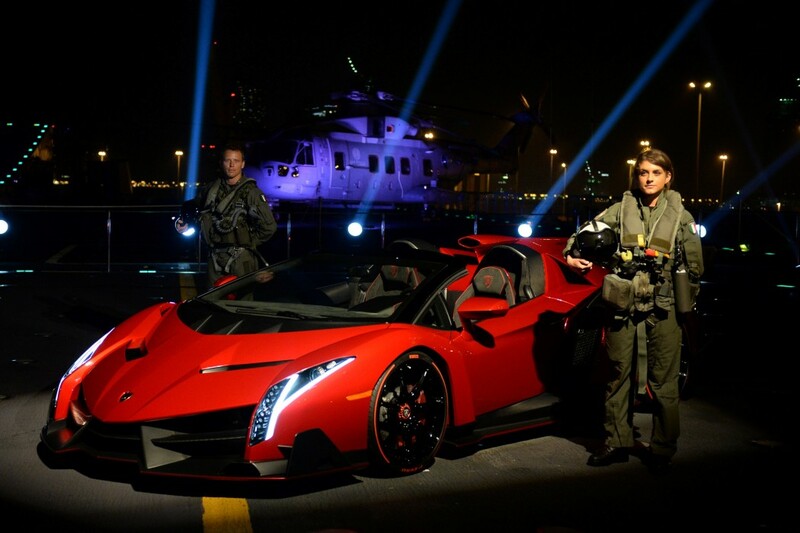 The V-12 engine races from 0-100 km/h in 2.9 seconds and reaches a top speed of 355 km/h (220.586 mph). The super-fast shifting ISR transmission has 5 modes and an all-wheel-drive racing chassis.